We offer quality storage solution to our clients in the form of Electronic Speed Switch. These products are provided with potentiometric setting. Our product provides the choice of selection of the speed from the six optional speed ranges 1-10, 10 - 100, 5 - 50, 50 - 500, 100 - 1000 and 500 - 5000 RPM. These also have a special feature of providing a special optional facility to multiply speed range X 10 & X 100. 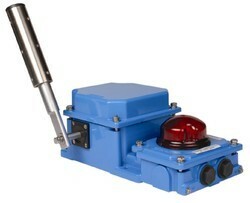 Our product also provides easy speed setting by potentiometer with supply on `relay on’ and `sensor led’ indications. We are engaged in designing an exquisite range of Belt Sway Switch. These products offered by our organization are technically designed by our trusted vendors using advanced technology and high-grade material. Our products are widely used for performing heavy duty jobs and meeting the set international standards. These products helps in the smooth functioning of the conveyors protecting them from damages by over swaying which is caused due to the uneven loading of material, worn out idler roller bearings and many more. Our products are also known as run off switch. 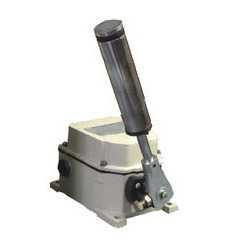 The switch allows smooth running of the conveyor and protects it from damages by over swaying which can occur due to uneven loading of material, worn out idler roller bearings etc. We are involved in offering a wide range of Pull Chord Switches. These products are provided by our organization in various shapes, sizes and dimensions as per the specific needs and specifications provided by them. Our products are widely appreciated among our clients for their durability, water & fire resistance, user-friendliness and compact designs. All our products are stringently quality tested under various parameters and are made as as per the set international standards. Leveraging on our expansive distribution network, we procure and deal in a high performing range of Zero Speed Switch. The product offered by our organization is the essential control and safety device for handling the plants under and over speed monitor. 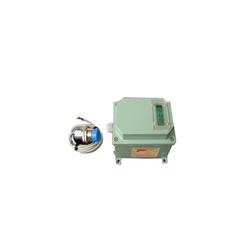 These are mainly used for the measurement and comparison of pulses received from sensor with standard pulses. 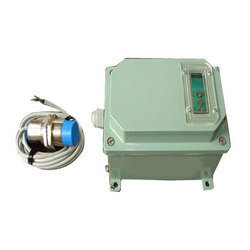 Our products contains the unit having two parts: control unit and “sensor probe”. The sensor is installed with its sensing face in closely to the rotating object. These pulses are fed to the control unit where they are compared with standard pulses to sense the speed. With the help of our distinguished professionals, we have been able to bring forth a wide range of Heavy Duty Limit Switch. Our products are highly qualitative as these are procured from the authentic vendors in the market. These products are well known for their capability to operate under extreme conditions, longer functional life and low maintenance. Our products are widely used in EOT cranes, conveyors, transfer cars, elevators, steel mills & mobile and material handling equipments in order to sense the end limits and position sensing.